The Dallas Sidekicks professional soccer franchise was founded on January 9, 1984 when Dallas Mavericks owner Don Carter purchased the bankrupt New Jersey Rockets original Major Indoor Soccer League franchise. 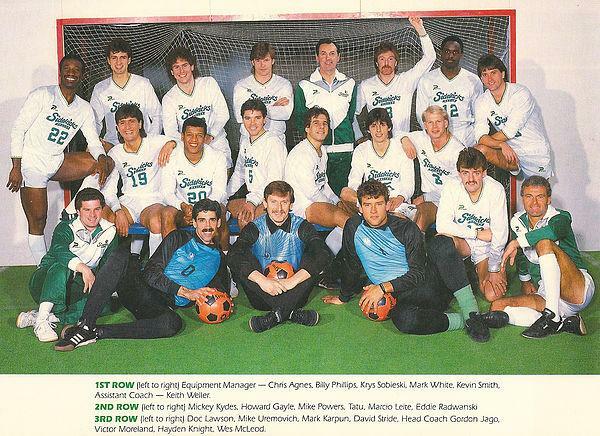 The Sidekicks went on to have a successful history behind indoor soccer legend Tatu and key players like Mike Powers, David Doyle, Sagu and so many others. The Dallas Sidekicks originally played their home games at Reunion Arena in downtown Dallas, garnering a large following there and attracting a rowdy home crowd. The great fan support the team received during their initial run in Dallas helped fuel the team’s success. 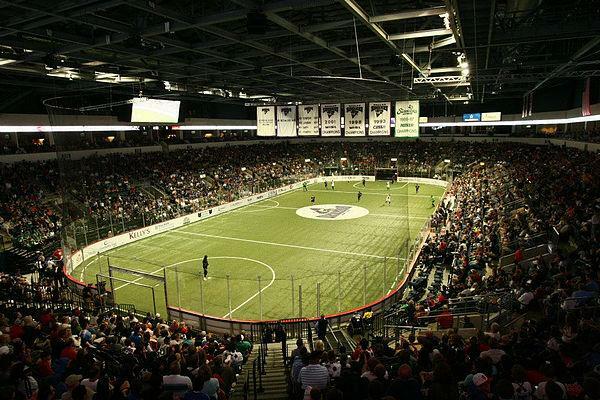 After an eight-year hiatus, the Dallas Sidekicks made their comeback in May of 2012 when majority owner Ronnie Davis purchased an expansion franchise in the Professional Arena Soccer League (PASL). In the summer of 2014, the PASL joined forces with several teams from the defunct Major Arena Soccer League to create the MASL, the largest and most competitive arena soccer league in the USA. The Sidekicks compete in the Southern Division of the MASL. The Dallas Sidekicks make their home at the Allen Event Center and continue to produce an entertaining and family-oriented experience for all ages, with the ultimate goal of raising a few more banners along the way. Go Sidekicks! 1987: The 1987 Championship saw the Sidekicks stage an amazing comeback. 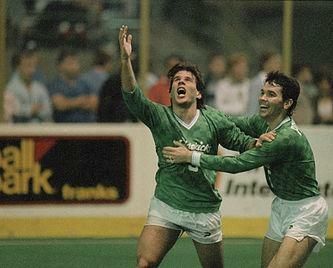 Known in Dallas as the “Never Say Die” season, the Dallas Sidekicks defeated a favored Tacoma Stars squad to win the championship. 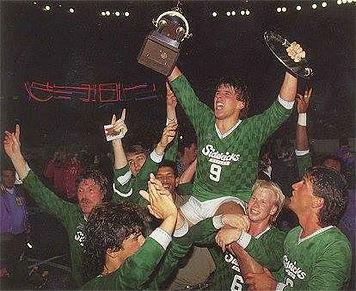 1993: In 1993, the Sidekicks won their second championship, this time in the CISL, where the offensive-minded Sidekicks downed the defensive-minded San Diego Sockers two games to one, in the best-of-three championship series. Gordon Jago was named CISL coach of the year in 1993, after the Sidekicks finished the season by winning 20 of their final 22 games. 1998: In Tatu’s first year as player-head coach in 1998, the Sidekicks were crowned World Indoor Soccer League Champions over the Sacramento Kings, winning 6-2 in the WISL Championship game, on Sunday, Nov. 8, 1998. Due to the team’s and his tremendous season, Tatu was named the WISL Coach of the Year and league MVP in the same season, becoming the first person to do so. Tatu led the Sidekicks to an 8-0 home record and an 8-2 overall regular season record in 1998. 2001: The 2001 championship over the San Diego Sockers is best remembered for Sidekicks midfielder Armando Valdivia’s game-winning shorthanded goal in overtime of the decisive game three in San Diego, along with Tatu’s tying goal to force overtime in the same game. Sagu’s high level of play was on display during the 2001 postseason, including making a tremendous diving save in overtime of game three against San Diego to keep the title hopes alive, along with compiling a 4-1 playoff record and a 3.33 goals against average. This title was the fourth in 17 professional seasons for the Sidekicks, and the second in the WISL.